My PON doesn't have any health or behavior problems, but I would like to join PON Yahoo groups in order to stay in contact with fellow PON owners. Which groups would you recommend ? Please look on the front page of PON Digest for a long listing of PON Yahoo groups. Good luck with making friends in the breed. My PON loves me and wants to please in every way possible except when it comes time for grooming. What can I do about this ? 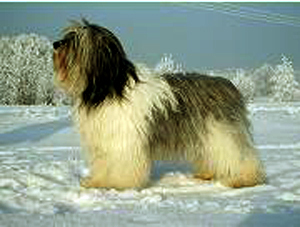 Consider joining PON Puppy Advice on Yahoogroups to exchange information with other PON owners on the topic of groomers. You might also wish to discuss this issue with your own breeder. I would love to attend a canine seminar but have family obligations, how can I get in contact with those who regularly go to seminars ? Contact your breed club and inquire about an exchange of information from seminars. Please keep us updated. I have never gone to Westminster and would like to meet up with PON owners who are going this year. How can I get in contact with them ? Why not contact your breed club and inquire about owners who are making the trip to Westminster this year !